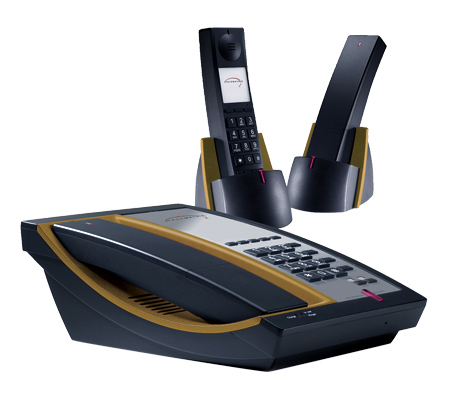 Guest Room Phones - Electronic Communication Services, Inc.
We offer a wide range of Corded Guest Room Phones for you to choose from. 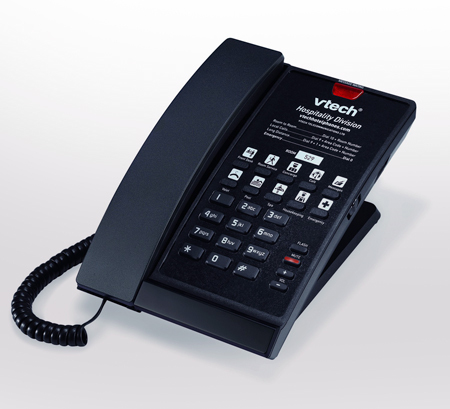 Our two most popular corded guest room phone brands are VTech and TeleMatrix. 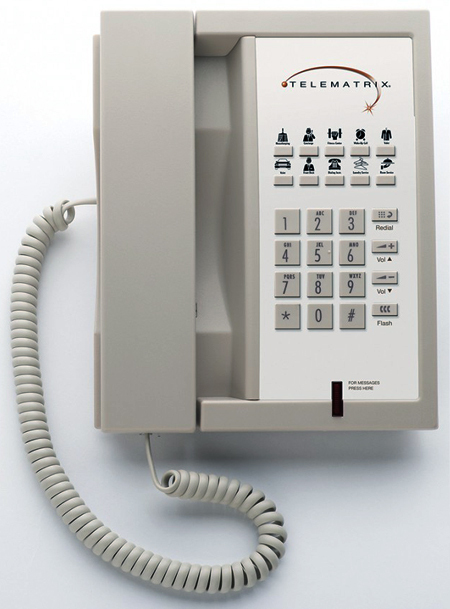 These phones come in a SIP or Analog version and large orders include free custom faceplates. Multiple Colors Available! Don’t see the brand you currently use? Contact us to check availability. 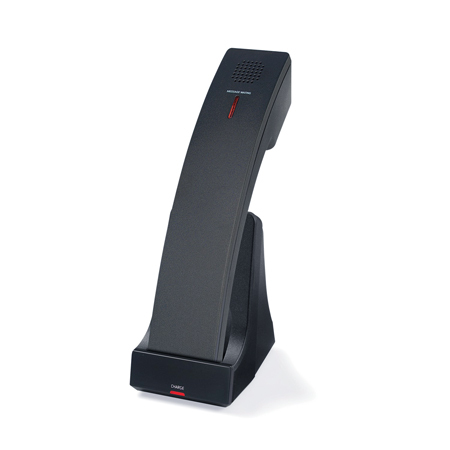 A modern addition to any guest room, this one-line analog phone features corded comfort, elegant styling, and antibacterial plastic. Since it's line-powered, your guests can always stay connected—even during power failures. 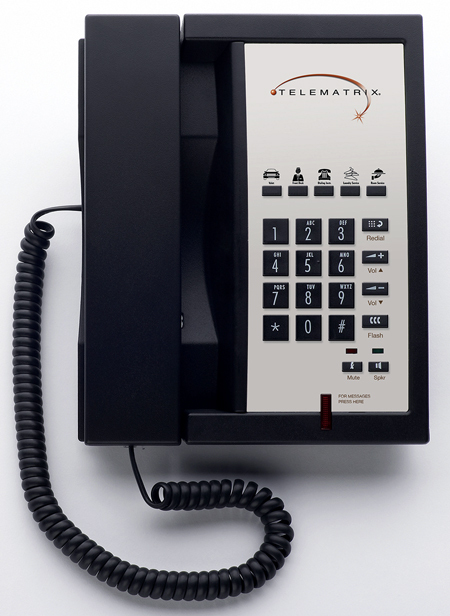 The 3300 by TeleMatrix will change the way you think about telephones. 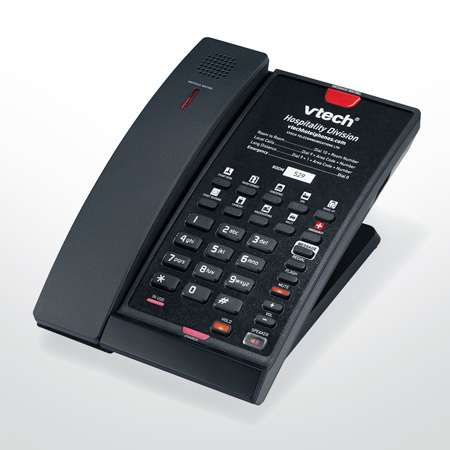 Designed from inception to be the undisputed next generation of world-class telephones, the 3300 Series comes in your choice of black or ash. Plus now you can easily add that distinctive color cradle that perfectly coordinates with your color scheme. Color inserts optional.